Michael Fridjhon: Is age-worthiness still important? As human life expectancy – at least in the first world (and excluding white middle class middle-aged Americans without college degrees) – increases, we have become less patient about ageing our wines. In an era (not so long ago) when middle class males could not expect to reach their three score years, they customarily bought wines that were likely to peak long after they went to their graves. Edmund Penning-Rowsell, writing in 1979 about the 1928 vintage, observed that like the 1870s, the best needed to be cellared for fifty years. Winemaking has adjusted to the demand for early gratification. 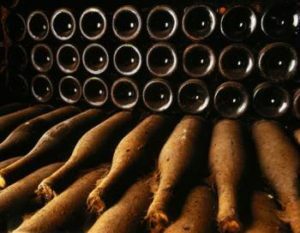 Wines which would have required at least a ten year ageing period are now considered ready to drink after five to seven years. Some of this is about better tannin management, a consequence as much of elevated ripeness levels as it is of the ubiquitous tasting tables which ensure that all but the most perfectly ripened grapes are removed from the cuvée. Some of this process has been driven by climate change, some by the enhanced technical competence of winemakers, some by the entrance into the wine business of the supermarkets (many in search of 1980s-style Aussie fruit bombs). Now it is almost self-perpetuating: very few new generation consumers ever get to sample old wines, so they don’t even know if they like them (and on the rare occasions when I’ve been present and they do get to drink them, they’re certainly not blown away by them.) Very few winemakers ever get to taste great wines which have stood the test of time. It’s a safe bet that the majority of them are not designing what they produce with a long term future in mind. The Butcher Shop’s Alan Pick claims that he can’t sell anything that’s more than ten years old – the punters don’t trust the wines to have aged in a way which would justify the risk. The vocabulary of wine descriptions reflects this state of affairs. We all have a range of primary aroma-and-flavour words which work pretty well for young wines, and serve to make them sound attractive. “Red fruits, black fruits, tropical, strawberry, melon, grapefruit” are the descriptors which communicate juiciness, accessibility, opulence. Once wines have moved into the secondary or tertiary stage of evolution, the terminology seems way less positive: words like “fungal, earthy, mushroomy, hints of forest floor” don’t persuade the average punter to click on the “add to cart” icon. So then we come to the question of whether age-worthiness is still important in determining wine greatness. At one level it clearly hardly matters. If no one is going to keep wine, does it matter if it has the potential to survive. That’s a bit like wondering if your roofing is snow-resistant if you’re living in the Sahara desert. However, on another level it is important – because while early drinkability is linked to fruit management and fermentation strategies, age-worthiness is ultimately a function of site. If we believe that the expression of place has some value, we have to allow for the prospect that a wine can fully express its terroir. We all know that it’s much more difficult to identify origin in very young wine: a mouthful of oak, fruit juice and tannin with aromas of cassis and plum is probably a Bordeaux blend, but is it from the Medoc or California? Only as a wine ages does a real sense of its provenance emerge. Young Pinot is cherry juice – twenty years down the line it’s much easier to tell a Romanée Conti from a La Tâche. If wine drinkers choose to pay for the labels, and then consume the wines before the true value of the purchase has become manifest, that’s their business. But the day you drop age-worthiness as a criterion for determining wine greatness, you are abandoning site in favour of vinification. Pretty as a new car looks on the showroom floor, you’re not buying it for the chromed cylinder head and the smell of the new leather upholstery. We shouldn’t let the prettiness of young wine deceive us about where its real merits should lie.